If you are trying to lose weight or get back into shape, you’ve probably heard a lot of talk about proteins. The fact is, proteins are an essential part of any diet and knowing more about them will help any weight loss, muscle building, or recovery effort. Protein is the human body’s main source for building muscle, bone, skin, hair, and many other tissues. There are over 10,000 different types of proteins found in the body. Proteins are broken down further into smaller molecules called amino acids. produce essential amino acids, so they must be obtained in the diet. Antibodies – For fighting infections. Enzymes – For chemical reactions, including reading human DNA. Messengers – To modulate body processes and reactions. Hormones are an example. Structural – For body support and movement which can be skeletal or within the organs. Transport & Storage – To carry and store molecules inside cells. Fluid Balancers – To regulate body fluid and blood pressure control. Energy sources – Used for energy in the absence of carbohydrates. What are the different types of proteins we consume (e.g., soy, whey, casein, and natural) and how does the body metabolize/use them differently? Soy Protein: Derived from the soybean, soy protein is considered a “complete” protein since it contains all eight essential amino acids. Digested gradually, soy helps develop lean muscle mass. Also, soy protein may reduce free radical formation during exercise, which assists muscle recovery. 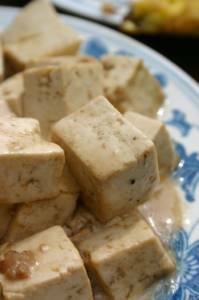 Soy is available as tofu, soy milk and soy burgers. Whey Protein: Milk has two protein components, casein and whey. Like soy, whey protein is a complete protein. Whey protein can improve lean muscle mass development and may help with weight loss. Quickly absorbed by the body, whey protein is good for post exercise recovery. Whey protein comes in a powder making it easy to mix into nutrition drinks. Casein Protein: The other milk protein, casein provides a more gradual protein release for exercise recovery. Casein showed to be of benefit in increasing lean muscle mass. 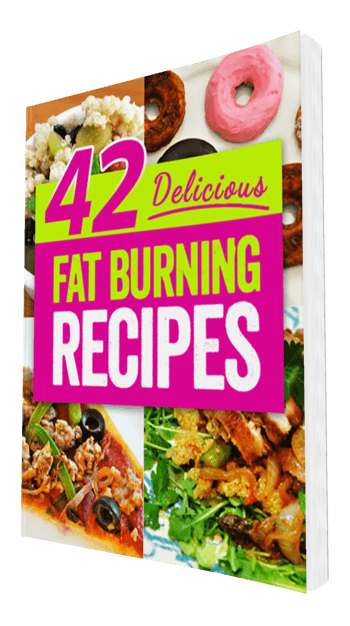 It also may help with fat loss by increasing your metabolic rate. Casein protein is available in powder and drink forms. Natural Protein: These are found naturally in foods without processing. Some of the best sources of natural protein are eggs, milk, yogurt, cheese, fish, soy, nuts, pork, chicken, and turkey. Beef is also a good source of protein, however, lean cuts are the best choice. Finally, processed meats are not the best sources due to their high salt, fat, and chemical content. Natural proteins are slower in metabolism than other proteins and protein supplements. Does Soy Affect Testosterone Levels In Men? Contrary to some reports soy has not showed to reduce testosterone in men or cause feminizing effects. In fact, bodybuilders use soy regularly to build muscle mass and shorten recovery times. The term “synthetic” means proteins produced in a laboratory and not derived from a natural source. Although this field of research is developing, there are no widely available synthetic proteins for human nutrition. Other ways the term “synthetic” might be in reference to protein drinks that contain artificial ingredients and sweeteners that may not have nutritional benefits. There is some controversy as to whether or not the body needs, or can use, the extra protein provided by protein powders. The typical American consumes 1.5 g/kg/day (0.7 g/lb/day) of protein. Average Americans = 0.8 g/kg/day or 0.4 g/lb/day. For athletic performance, it’s generally best to eat protein immediately post-workout. To help muscles recover faster, some recommend protein intake during workouts. This makes protein drinks especially attractive. Research reveals that protein intake throughout the day (every 3 hours or so) may also provide a performance advantage. This coincides with other advice that says eating smaller meals every 3-4 hours promotes healthy body weight. It is thought that Casein is especially beneficial during evening intake for overnight muscle recovery due to gradual protein release. 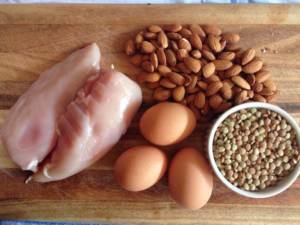 Having a well-rounded knowledge base about proteins improves your nutritional outlook. Add this to regular exercise and a healthy lifestyle, and you’re sure to meet your fitness goals.